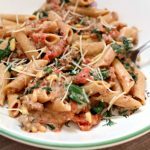 Instant Pot/Slow Cooker Meal Plan for a Month–want a month’s worth of dinner ideas that you can make in the Instant Pot or slow cooker? I’ve got you covered! 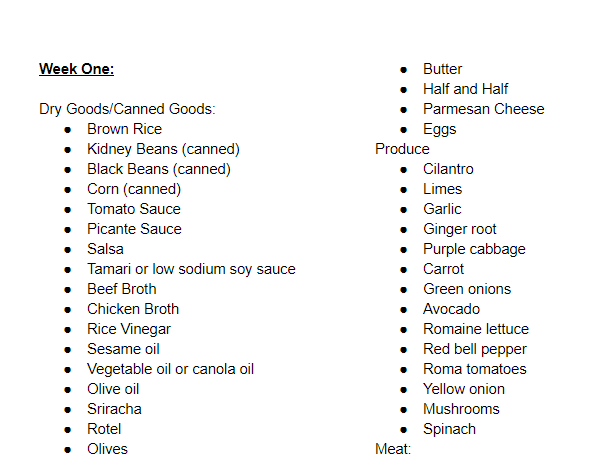 Here is a menu plan for the next 4 weeks along with a shopping list for each week. Save this for later on Pinterest! The hardest part of cooking, for me, is coming up with a meal plan and figuring out what I want to make for dinner. I’m sure there are some of you that love this process but for the rest of us I’ve got a useful tool for you today. 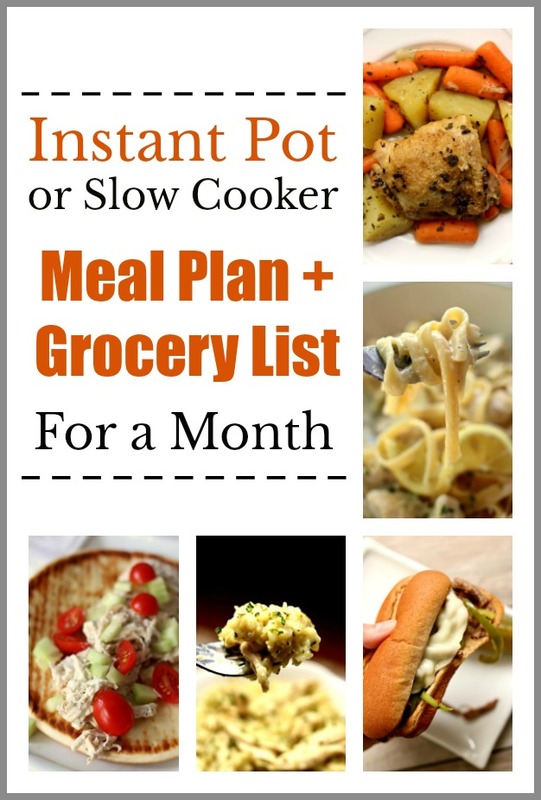 Here is a menu plan with dinners that you can make in the Instant Pot and slow cooker. Put those time saving counter appliances to good use this summer. They won’t heat up your kitchen and they’ll give you extra time to play. I’ve used theme nights to make it easy to plan. You can easily switch these days around as per your preferences and what you have going on that week. The grocery list only has the ingredients needed for the actual recipes above. It does not contain the items you will need for my suggestions of what to serve with the dish. Get the grocery list for all the recipes above by clicking here. What Pressure Cooker/Slow Cooker Do You Use? I use a 6 quart oval Kitchenaid slow cooker. * I love this slow cooker (you can see me talking about it in a video here). It cooks low and evenly. I love the medium heat choice because most slow cookers that I’ve seen only have the option of cooking on low or high. If you’re going to buy just one slow cooker, this is the one that I recommend. 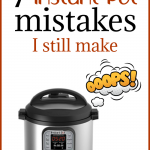 I use a 6 quart Instant Pot Duo 60 7 in 1*. I love this Instant Pot because it has the yogurt making function which I use almost weekly. It has two pressure settings (high and low), and there are also little slots in the handles so that you can rest the lid there instead of putting it down on your counter-top. 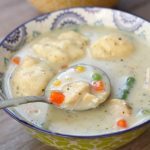 Like this Instant Pot/Slow Cooker Meal Plan for a Month? Get all my new recipes delivered to your email inbox by signing up below. 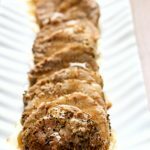 Thanks for sharing all your recipes and menus. It has really helped our family. We do the instant pot more often than crock pot. I heard you and your husband on the Dave Ramsey show. Congrats on paying off debt and on this recipe/cooking website!!! I’m about to try your month of menus. Here goes. Also we are doing Dave Ramsey’s plan too and are about 25% done baby step 2! Hi Hannah! That is so great congratulations! I’m glad you found me 🙂 Keep up the good work! Thanks Karen for all the insight on using my Power Pressure Cooker that I bought on TV. I have only made a few things with it, mostly because, I’m still trying to get used to it. Your site/blog are great & innovative. Can I half the recipes and do in my Mini Pot? Yes as long as there is enough liquid for the pot to come to pressure. Are these meals freezer friendly? It’s just my hubby and me. Even if we ate left overs for lunch, there would still be quite a bit left over. Some of them would probably be okay but others, not so much. You could always halve the recipes. That’s what I would do if I were you. This plan literally saved me! Tired of same old stuff and never had a solid plan. This is it – make ahead and freeze – DINNER DONE! – hungry family is very appreciative. 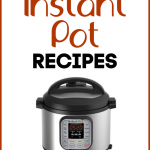 This site was recommended to me by my 30 yo male physical therapist… He LOVES his instant pot! Pinning and trying. Thank you!!! Thank you for this amazing menu plan! You nailed it with many of our favorites. 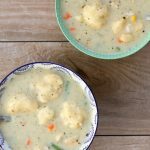 Don’t have an instant pot but love using my slow cooker during the summer months. Hope you compile meal plans again. Can I also get a month worth of pressure cooker recipes and grocery lists? Vicki, do you have an electric pressure cooker or a stovetop pressure cooker? This is great. Been in a little bit of a rut and could use some inspiration. So glad you can use it!